Our company manufactures automatic manipulators (stacker robots, industrial robots) for stacking of bricks, construction blocks and other articles. Systems on the basis of robotic arm (manipulator robot, industrial robot) of third-party design (Kuka, ABB, Fanuc Robotic, Kawasaki, Motoman). Systems on the basis of TITAN ZORG gantry manipulators of our own construction. Main sphere of application of the TITAN stackers based on industrial robots (robotic arms) is automation of small-size concrete articles (bricks, construction blocks, paving slabs) production. We use robots of reliable manufacturers that made a good showing in the robotics market. TITAN brick layers can be perfectly integrated with hyperpresses of our manufacture. 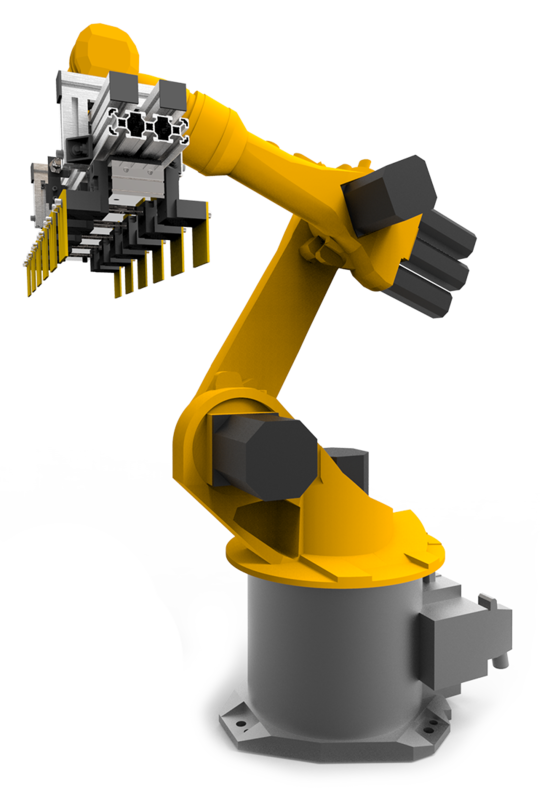 We can also supply brick stacking robots equipped with a kit of grips for brick presses of third-party producers. The TITAN MACHINERY company has developed and implemented individual solutions for application of robots to various branches of industry concerned with construction materials production. Our attention is concentrated on automation of hyperpresses for manufacture of bricks, construction blocks and paving slabs. 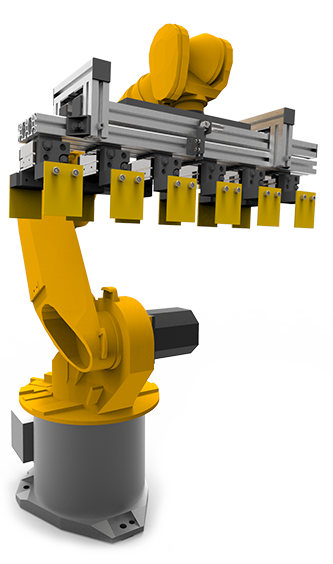 Our industrial robot-stackers can be used for automation of silicate mills, in ceramic industry and in production of small-size concrete articles. For large brick production factories (silicate production, ceramic bricks production) we usually offer reliable 4axis 450-500 kg maximum load robot-stackers; for production of facing bricks and tiles – 6axis concatenated robots. Industrial 4axis delta-robots are used to solve problems of final products packing. When shifting to another design of the products, quick readjustment of grips or replacement of clamshell (assembled unit of grips) is possible. Robots employed at the brick production are subject to extreme dust and dirt influence that requires high reliability of the robots. We use industrial robots manufactured by Kuka, ABB, Fanuc and so on. KUKA Robotics, ABB, Fanuc companies specialize in robotics and automation technology branches and are among the leading producers of industrial robots. The wide choice of robots of these companies’ manufacture includes nearly all classes of carrying capacity and types, thus allowing the company to establish standards of human-with- robot cooperation. 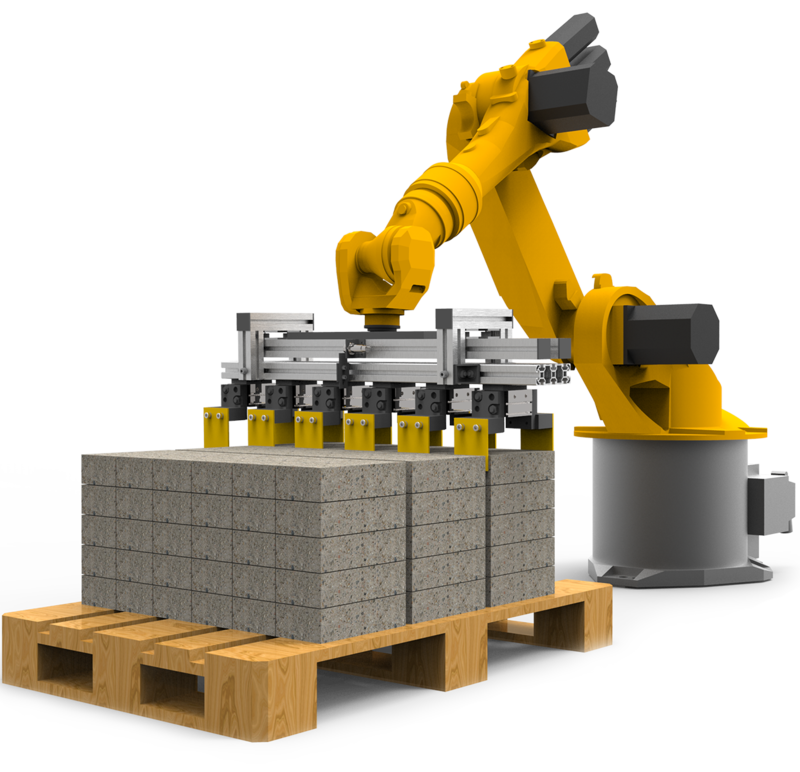 Our company provides installation of brick stacking robots and equips them with special pneumatic grips of our own design. The grip unit is usually manufactured of light alloys. In case of necessity we also design grip units that allow to do additional grouping of articles and rotate them by 90 degrees. Specialists of our company accomplish the programming of robot-stackers and integrate them into the whole system of final products transportation. 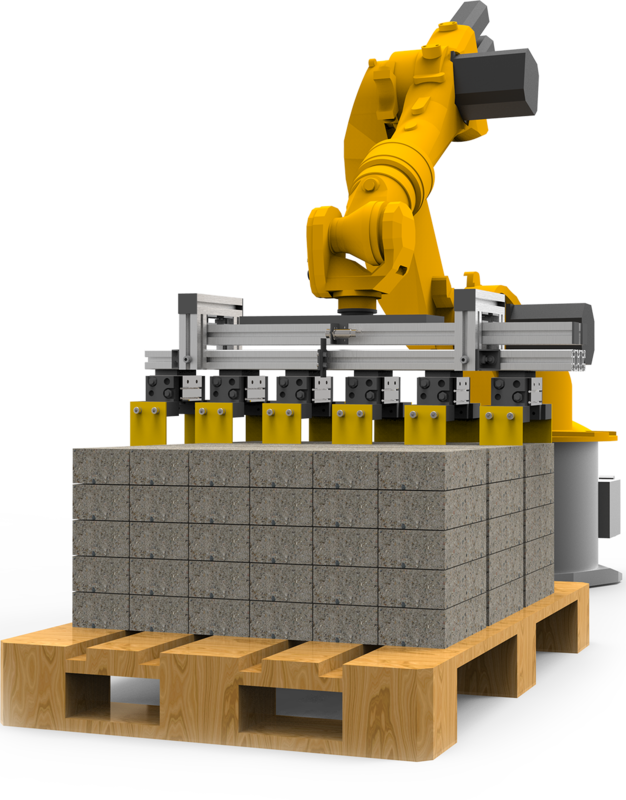 Automated stacking (laying) of raw bricks onto a pallet or transportation cart. 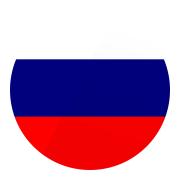 Если хотите узнать больше скачайте! When a human cooperates with a robot, they work hand in hand. The human runs and controls production, and the robot assumes hard and monotonous physical action. Both participants of the production uncover their best qualities, that is the key principle of Industrie 4.0. One of our main advantages is many years’ experience in applying of different production techniques, that enables us to develop and perfect ourselves constantly. We share our experience with you and are doing all our best for you to make a reality of your intentions. reduction of capital investment pay-back period. a stacking robot after-equipped with sensors can be employed for introducing articles height corrections in the dynamic mode. Made with attention to details!